In order to meet excellent quality standards, we are supplying Painted Jewellery Box. From our wide consignment, we are affianced in supplying Painted Jewellery Box. This Handcrafted Octagonal Jewellery Box is made of wood. Along with a closable lid the beautiful utility plus decor item has a beautiful king on hathi sawari hand Painting. The gift piece has been prepared by the traditional artisans of Jaipur. Small things in a small box, this brass box with hand painted lid, is ideal to keep your small piece of jewellery safely. 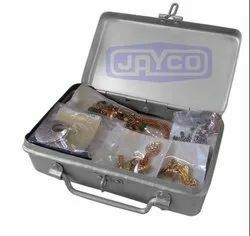 Jewelry Display are simple looking storage boxes for Jewelry. We design these boxes in multitude of sizes to benefit the requirements of our clients. Our Jewelry boxes are must have for any chain lover to preserve and beautify their ornaments. These Boxes are inexpensive and are durable. These boxes are manufactured out of high quality of wood that enables a long lasting service. 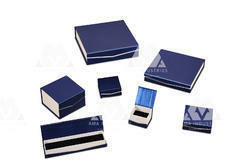 Being a quality-centric organization, our company offers an extensive range of Gold Jewellery Box to store the valuables. This box has a large space for systematic storage of products. Further, this box is available in different elegant designs and sizes and is offered at leading market prices.